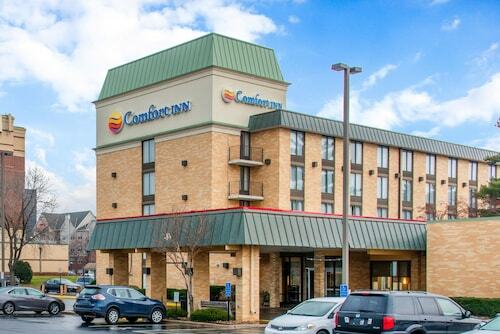 This family-friendly Chanhassen hotel is located near the airport, within 3 mi (5 km) of Paisley Park and Miller Park. Eden Prairie Center and Minnesota Landscape Arboretum are also within 6 mi (10 km). 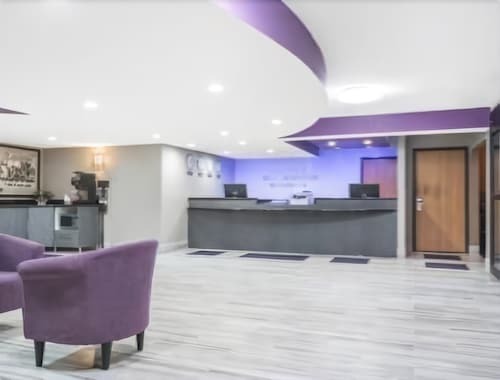 Situated in the entertainment district, this hotel is 1.4 mi (2.2 km) from Paisley Park and 2.9 mi (4.6 km) from Miller Park. Minnesota Landscape Arboretum and Flying Cloud Fields are also within 6 mi (10 km). Situated near the beach, this hotel is 1.3 mi (2 km) from Minnesota Landscape Arboretum and 1.6 mi (2.6 km) from Paisley Park. Hazeltine National Golf Club is 2.8 mi (4.5 km) away. Situated in Chanhassen, this vacation home is 1.2 mi (1.9 km) from Paisley Park and within 6 mi (10 km) of Minnesota Landscape Arboretum and Hazeltine National Golf Club. Miller Park and Chaska Town Course are also within 6 mi (10 km). 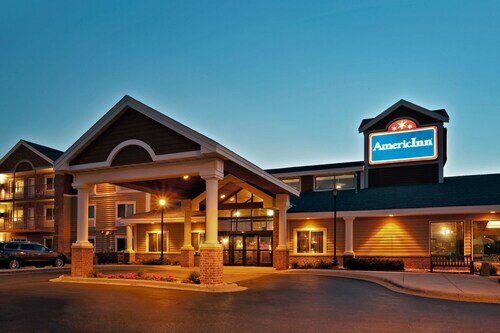 How Much is a Hotel Room in Chanhassen? 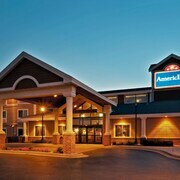 Hotels in Chanhassen start at $101 per night. Prices and availability subject to change. Additional terms may apply. 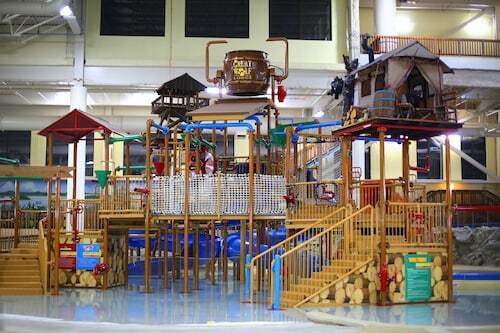 Bend down, touch your toes, stretch, and get warmed up for the outdoor adventure waiting in Chanhassen, Minnesota. With more than 55 miles of trails and sidewalks winding their way through the city, your biggest decision each day will be whether to wander around on a bicycle, rollerblades, or your own two feet. 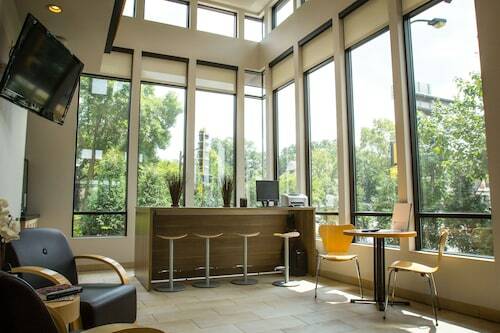 Whether the warmth of the sun radiates down or a crisp fall snap fills the air, Chanhassen hotels let you relax after a day of ecological exploration. Unbutton that suit coat and relax into the soft fabrics of a free-spirited explorer: In Chanhassen, life is meant to be comfortable. 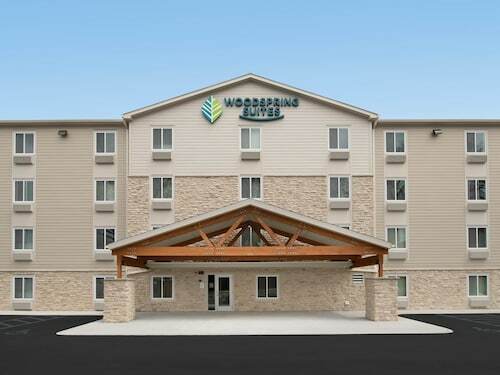 Most motels in Chanhassen, MN are just 18 miles west of Minneapolis-Saint Paul International Airport, meaning it won’t be long before you’re settled into the area’s relaxed pace. Go with the flow at Lake Ann Park, where you can cast a fishing line from the pier or dig your toes into the sand. You might gaze across the lake to the horizon, wondering how it’s possible that the bustle of Minneapolis is only a few miles away. As the sun sets, the energy rises as you catch a second wind. 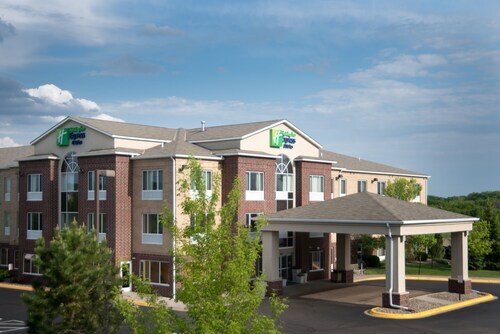 Drop off your sports equipment at one of the hotels in Chanhassen, MN and explore what the town has to offer under the blanket of night. Tickets to a live performance at the Chanhassen Dinner Theater will feed your ears with Broadway melodies and your stomach with some delectable fried walleye, the state fish. Chanhassen car rentals even give you the chance to venture to bigger venues, where you might hear a polished soprano at an opera in Minneapolis or march to a brass band through the Como Park Zoo & Conservatory in Saint Paul. Wherever your ears call you or eyes wander to in Minnesota, Travelocity will be there to help you find the best deals for your travels, including the best hotels in Minneapolis as well as Chanhassen.